New smaller version of the original animal heads perfect for a cluster or smaller spaces. 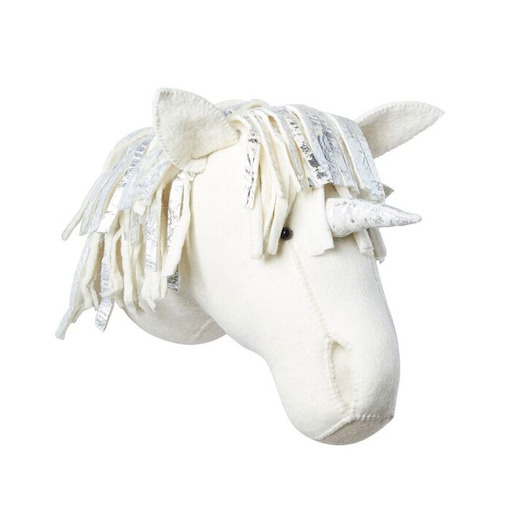 This wall mountable felt animal head by Fiona Walker England is a quirky take on home decoration. Ideal for children’s bedrooms, playrooms or perhaps just a talking point in your living space, this animal head is certainly going to make a statement! Designed in Bershire, UK and Handcrafted in Jaipur, India, this ethically produced home decoration is made from felt. Each item is produced by hand which gives each animal head its own unique character; we think this is really rather charming! Features a simple hanging loop on the reverse for easy hanging.